W. B. Yeats is widely regarded as the greatest English-language poet of the twentieth century. This new critical biography seeks to tell the story of his life as it unfolded in the various contexts in which Yeats worked as an artist and as public figure. Terence Brown is Professor of Anglo-Irish literature in Trinity College, Dublin and a Fellow of the College. He is also a member of the Royal Irish Academy and of the Academia Europaea, and has lectured widely on Irish literature and on Irish cultural history. Among his books are studies of Louis MacNeice and of Northern Irish poetry. His numerous publications include Ireland: A Social and Cultural History (1985) and Ireland's Literature: Selected Essays (1988). He is also editor of Derek Mahon: Journalism (1996) and Celticism (1996), and was formerly a contributing editor of the Field Day Anthology of Irish Writing. 1. Victorian Cities: London and Dublin. 17. An Old Man's Frenzy. Select Bibliography and Guide to Further Reading. "One of the many splendid qualities of Terence Brown's recent biography is its critical appreciation of the poet's extraordinary cultural accomplishments within the broader context of a brilliantly rendered political and social history of modern Ireland. 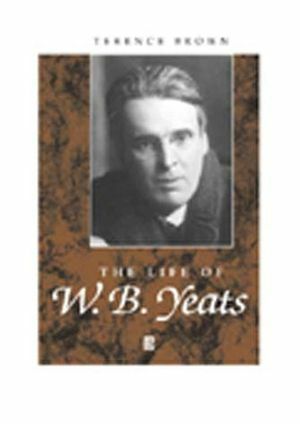 Considers all Yeats's major works as poet and dramatist in the contexts in which they were written and published. Provides a deep appreciation of the poet's occult knowledge, power and spiritualist illumination.